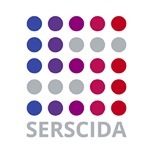 Support for Establishment of National/Regional Social Sciences Data Archives (SERSCIDA) was designed as a strategic project for supporting the cooperation and exchange of knowledge between the EU countries associated within the Consortium of European Social Sciences Data Archives (CESSDA) and the Western Balkan Countries (WBC) in the field of social science data archiving. The project addressed the issues of potentials of usage of information-communication technologies for the benefit of scientific research and exchange of knowledge. The project aimed to produce tangible results and improve the capacities for exchange of knowledge and data collected through research in the social sciences between the participating European countries.